Provide comfort for the family of Patricia Fasnacht with a meaningful gesture of sympathy. 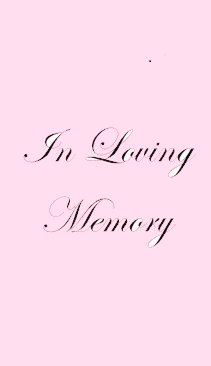 Patricia Ann Fasnacht, 75, of Merakey Allegheny Valley School, Hummelstown, passed away Thursday, March 14, 2019, at her home. Born in Lebanon on July 21, 1943, Patty was the daughter of the late Lawrence Fasnacht and Mary Brandt. Patty enjoyed listening to country music, taking walks outside when the weather was nice, listening to books on tape or stories on her kindle, being pampered, getting her hair and nails done, and resting in the quiet. A service to celebrate Patty’s life will be held on Friday, March 22, 2019, at 1 PM in the Trefz & Bowser Funeral Home, Inc., 114 West Main Street, Hummelstown. A visitation will be held Friday in the funeral home from 12:30 PM until time of the service. In lieu of flowers, memorial contributions may be made to the Merakey/Allegheny Valley School, 1291 Middletown Road, Hummelstown, PA 17036. To send flowers to the family of Patricia Ann Fasnacht (Fasnacht), please visit our Heartfelt Sympathies Store. Location of Trefz & Bowser Funeral Home, Inc. Provide comfort for the family of Patricia Ann Fasnacht (Fasnacht) by sending flowers.